Gilcelio is going nuts in the current Iron Builder round and this build is the result of that. While I love a good vehicle as much as the next guy, it is way better when a builder puts that vehicle in context with a good backdrop. 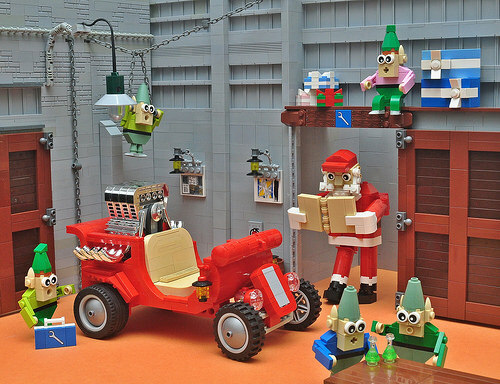 Santa’s hot rod is a great build but what I really dig is the action going on around it.